The energy company better known for its large coal seam gas holdings says studies of the proposed wind farm site will be under way in coming weeks. The site near the Barrier Ranges outside the town of Silverton was first proposed in 2007 by Epuron, but very little has happened since AGL took over in 2012. AGL has blamed uncertainty about the Renewable Energy Target for the slow-down, but with development approval set to run out in May, action is now being taken. The company held a community meeting late last week to tell locals that it had applied to have another five years added to the approval, and that the project has a new manager, Adam Mackett. “We're already doing work through the hydrogeological study where we're committed to this project, so we're showing that,” Mr Mackett told the meeting. Mr Mackett managed the construction of the Broken Hill solar farm nearby, and oversaw the construction of South Australia's Hallett wind farm as well. “We're confident of having [the Silverton project] extended, we think the Silverton wind farm is a fantastic opportunity,” he said. Funding is coming AGL's new ‘Powering Australian Renewables Fund’, as well as profits from the Broken Hill solar farm. 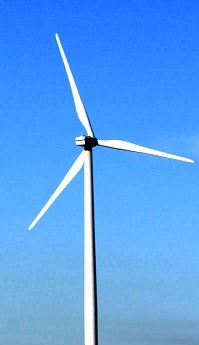 AGL says when the Silverton wind farm is eventually built, it should generate power for around 120,000 average homes. At last week’s meeting, Silverton residents and graziers raised concerns about the amount of water that would be required during construction, the potential for damage to the local tourism industry, and the risks of sound-related issues like ‘wind turbine syndrome’. AGL hopes to have the Powering Australian Renewables fund running by the middle of the year.